Barn house plans remain extremely popular in the home building industry. However, not every home building company can create an authentic barn style home. 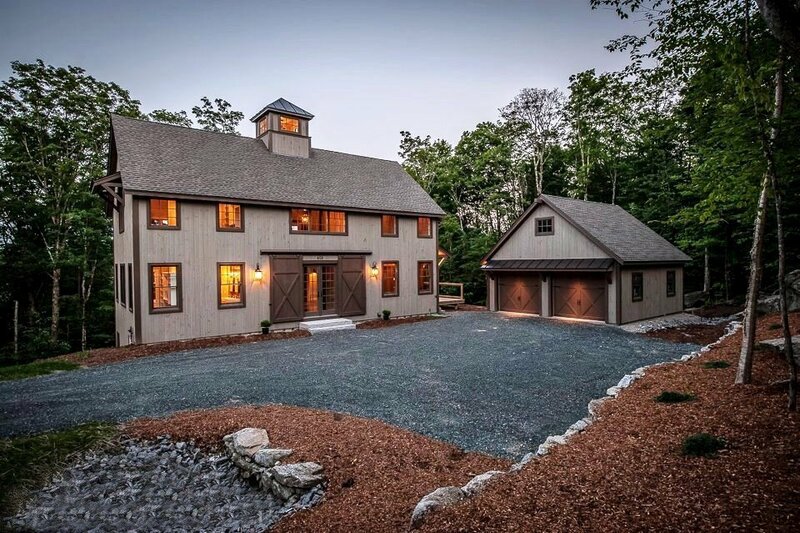 Yankee Barn Homes is the exception. 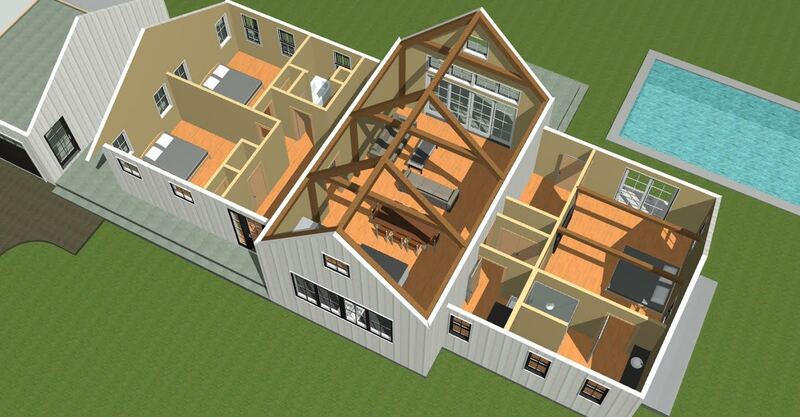 While we build homes in all styles, barn home structures are our forte. 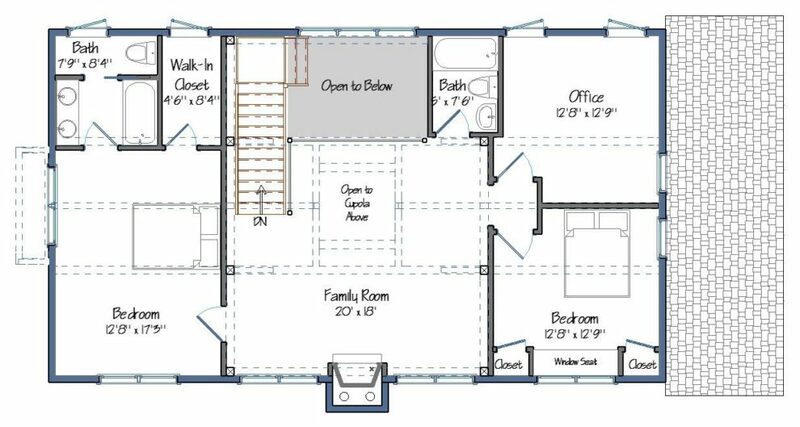 The Tullymore is an excellent example of a common experience at Yankee Barn Homes. 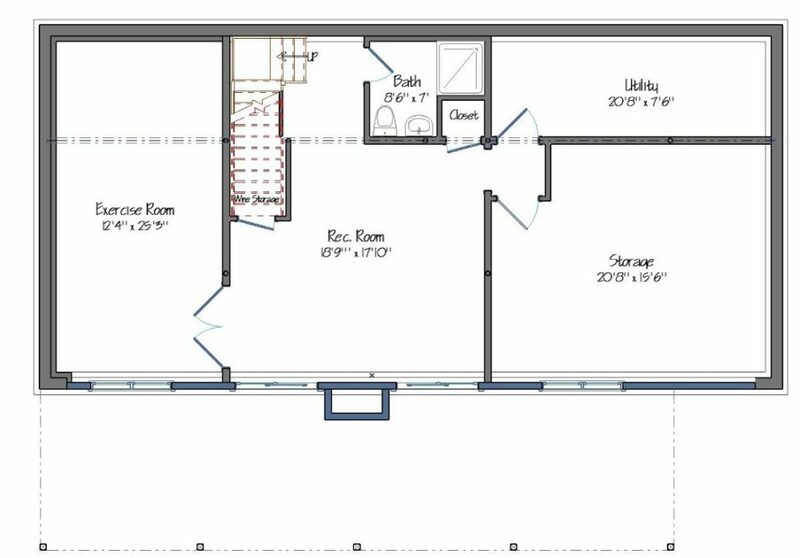 Clients find an existing floor plan they love, then make it their own by customizing it to suit their lifestyle. This is exactly what happened with this barn home. 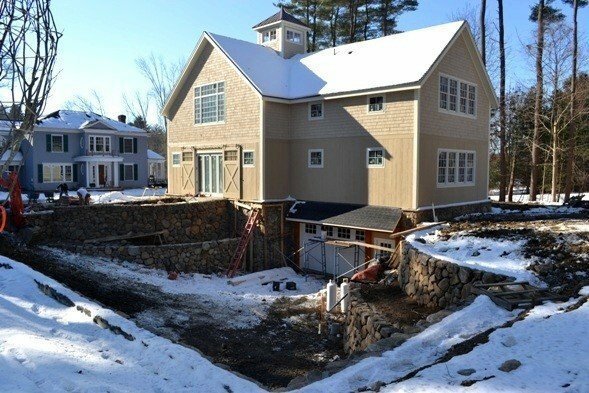 The Grantham Lakehouse is one of our most popular designs, so it was no surprise the new homeowners-to-be fell in love with the post and beam beauty. But you’d be mistaken to think all we create is beauty. Behind our gorgeous exteriors lies 21st Century build technology, including our True Wall™ and True Roof™ panel systems. (Read more). The Tullymore takes up where the Grantham Lakehouse left off, extending the design with a first level shed roof addition. 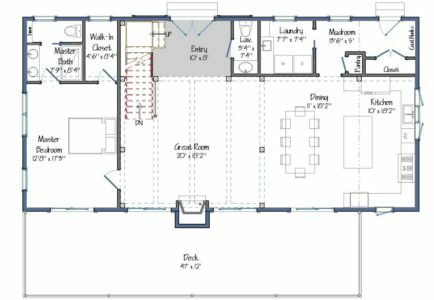 This allows more square footage dedicated to the the open concept kitchen/dining area, as well as the laundry and mudrooms. 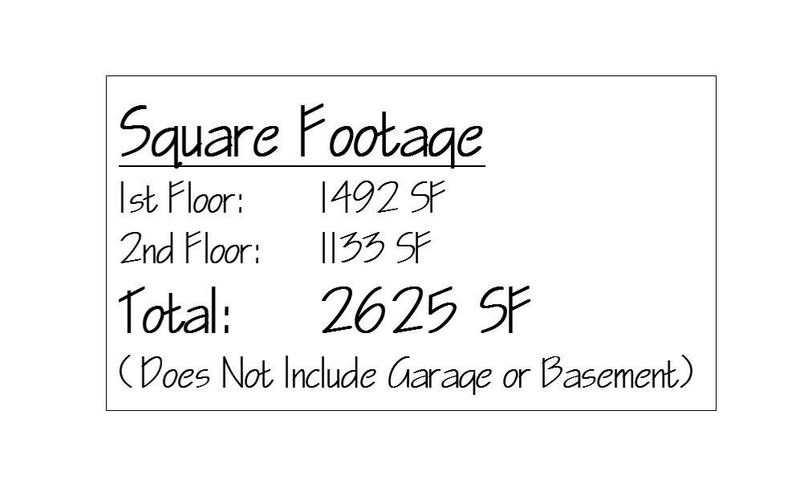 Otherwise, the floor plan is a mirror image of the Grantham Lakehouse. 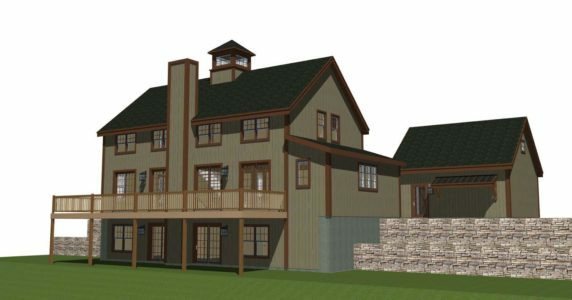 We look forward to watching the Tullymore barn house plans take shape. Construction is set to begin this spring and we hope to follow this Michigan build as it progresses. Please check back if you’re interested in seeing this build progress as we’ll update when photos become available. 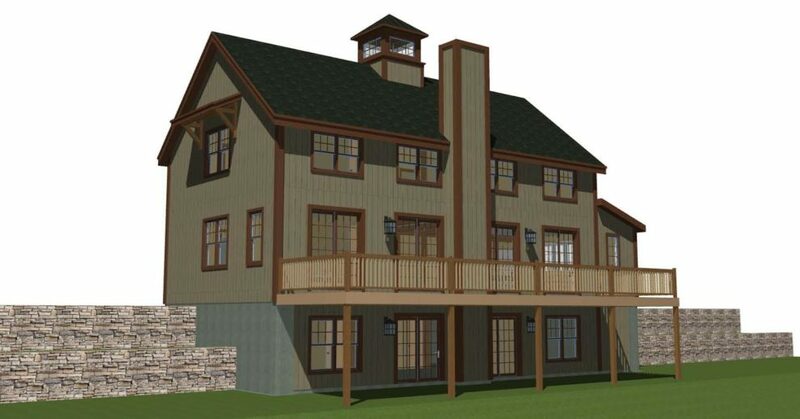 Yankee Barn has received enthusiastic feedback for one of our newest designs, the Morton. 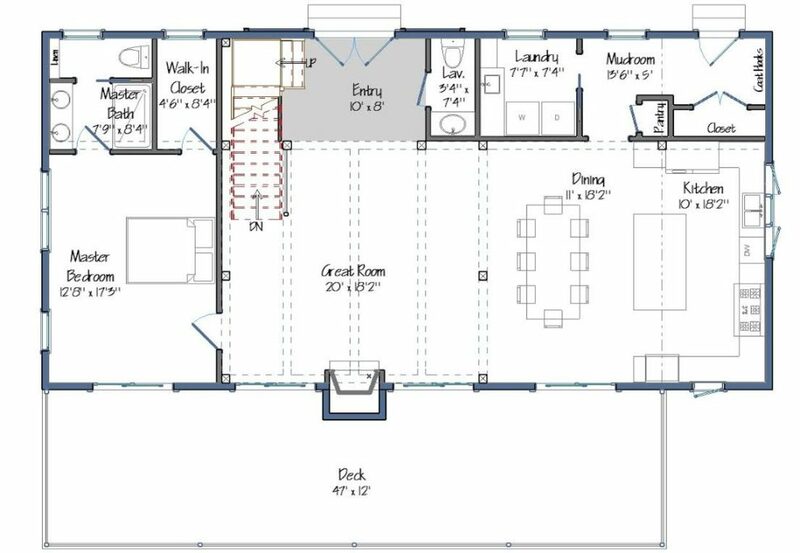 The single level partial timber frame home (also known as a Hybrid) has a lot to offer within its 1819 square feet, three bedroom, two bath floor plan. 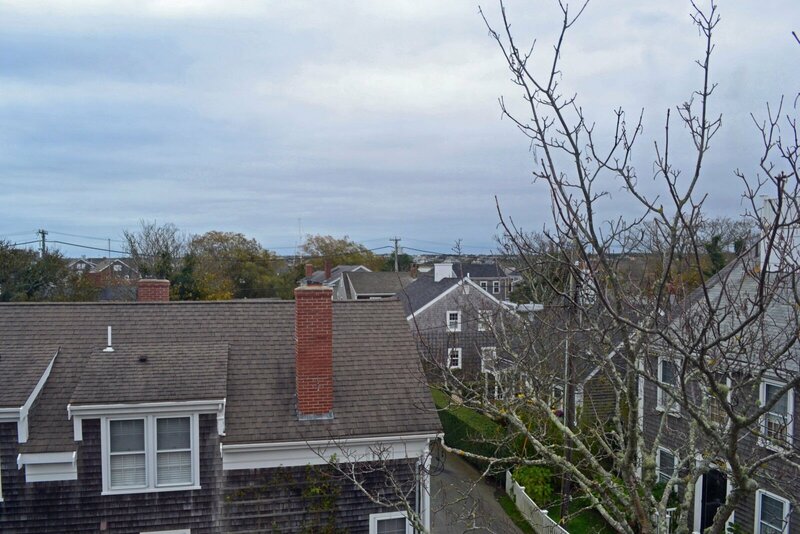 The Beacon Carriage House: WOW!